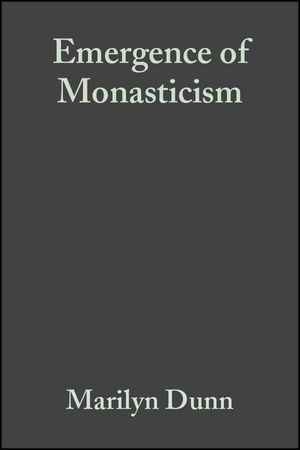 The Emergence of Monasticism offers a new approach to the subject, placing its development against the dynamic of both social and religious change. First study in any language to cover the formative period of medieval monasticism. Gives particular attention to the contribution of women to ascetic and monastic life. Marilyn Dunn is a graduate of Edinburgh University and a Senior Lecturer in Medieval History at the University of Glasgow. She has published work on religious and Byzantine history. 1. The Emergence of Christian Eremiticism. 2. The Development of Communal Life. 3. Women in Early Monasticism. 4. The Meaning of Asceticism. 5. The Evolution of Monasticism in the West. 6. The Rule of St Benedicts and its Italian Setting. 8. Irish peregrini and European Monasticism. 9. Monasticism and Society in the Seventh Century.